Everyone running applications on Kubernetes cluster uses a deployment. It’s what you use to scale, roll out, and roll back versions of your applications. With a deployment, you tell Kubernetes how many copies of a Pod you want running. The deployment takes care of everything else. 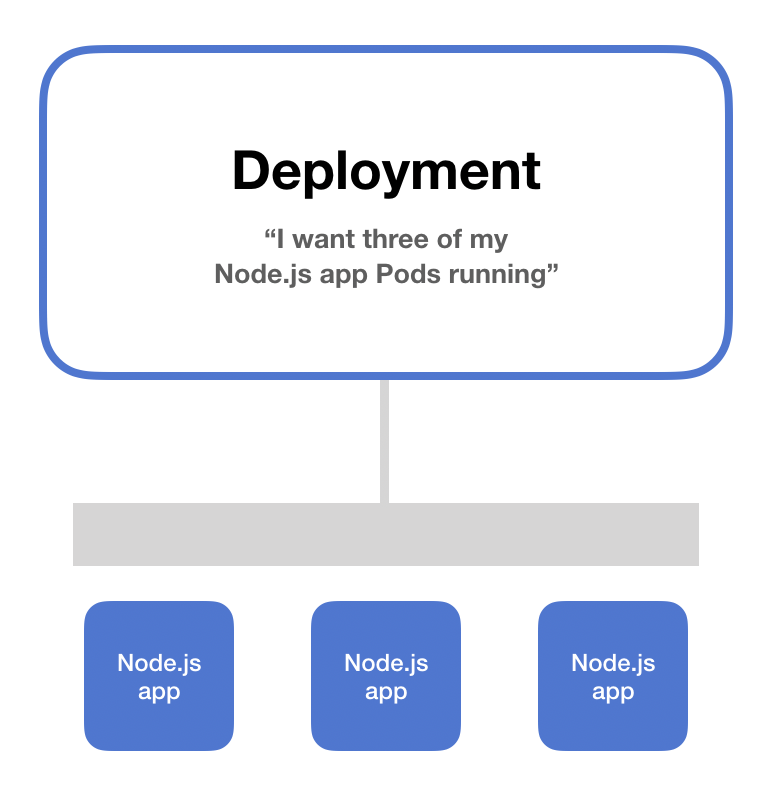 A deployment is an object in Kubernetes that lets you manage a set of identical pods. Without a deployment, you’d need to create, update, and delete a bunch of pods manually. You can also easily autoscale your applications using a Kubernetes deployment. Here’s some YAML that you can use as a template for creating your deployments. First, the replicas key sets the number of instances of the pod that the deployment should keep alive. Next, we use a label selector to tell the deployment which pods are part of the deployment. This essentially says "all the pods matching these labels are grouped in our deployment." After that, we have the template object. This is interesting. It’s essentially a pod template jammed inside our deployment spec. When the deployment creates pods, it will create them using this template! So everything under the template key is a regular pod specification. In this case, the deployment will create pods that run nginx-hostname and with the configured labels. What’s the difference between a deployment and a service? A deployment is used to keep a set of pods running by creating pods from a template. A service is used to allow network access to a set of pods. Both services and deployments choose which pods they operate on using labels and label selectors. This is where the overlap is. You can use deployments independent of services. You can use services independent of deployments. They just go together really nicely! This lets you do canary deployments. You add a new deployment version of a pod and run it alongside your existing deployment, but have both deployments handle requests to the service. Once deployed, you can verify the new deployment on a small proportion of the service's traffic, and gradually scale up the new deployment while decreasing the old one. 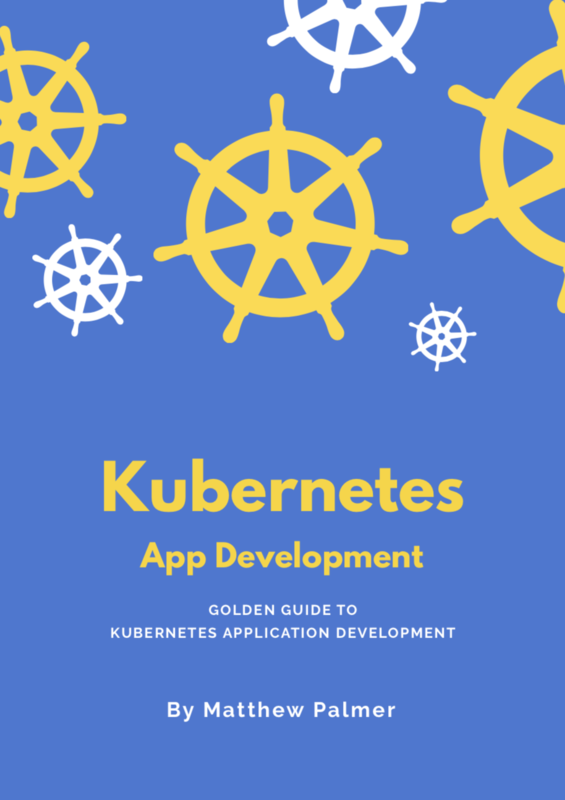 Get my book on Kubernetes for backend developers. Great for software engineers learning Kubernetes. Perfect for developers getting their CKAD certification.